‘The Vietnam War’ signifies for most Americans the near-decade long crescendo of U.S. military involvement in a thin strip of Southeast Asia, a ritualized narrative of an experience bounded on each end by the Gulf of Tonkin incident in 1964 and the Paris Peace Accords in early 1973. Yet American involvement did not begin in 1964. It began nine years earlier, when President Eisenhower ordered American military advisors in 1955 to head “in country” and begin training the fledgling South Vietnamese Army. Then in 1961 President Kennedy sent U.S. Special Forces to teach covert warfare. Even so, for the Vietnamese — both North and South — the American involvement in their war (the “Resistance War Against America”) was a just new phase in a protracted struggle against Japanese and later French colonial power. Thus, as American commitment to Vietnam strengthened, the United States assumed a bloody mantle last discarded by the French at Dien Bien Phu — that of western imperialist. The Gulf of Tonkin incident, a confused altercation between an American destroyer and alleged North Vietnamese torpedo boats in August 1964, launched the real American build up. Over the next four years, President Johnson increased draft calls, sending ever-higher numbers of American men to Vietnam. By the peak of American involvement in 1968, over half a million American servicemen patrolled the jungles of Vietnam. The numbers were of limited use, as the January 1968 Tet Offensive demonstrated. Stunned by the outcry from a citizenry that had been told the war was going well, Tet confined Johnson to a one-term presidency. Richard Nixon’s solution — “Vietnamization” — proved only marginally more effective, delaying the inevitable collapse of the South Vietnamese military with overwhelming air superiority. By the end of 1973, the war was over for America. In April 1975 television viewers were greeted with a macabre last glimpse of the war: panicked Vietnamese attempting to claw their way into retreating American helicopters. 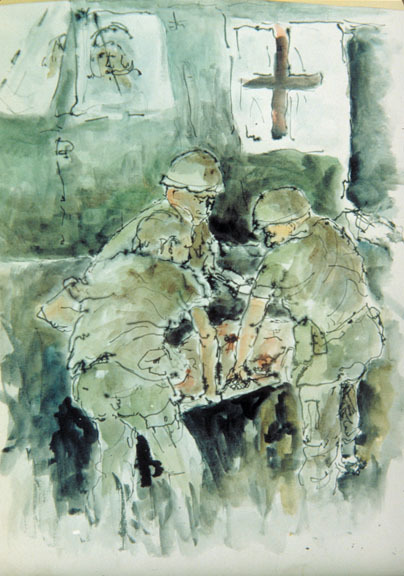 As the beating sound of metal blades retreated into the distance, Viet Cong and NVA troops milled in the streets. In an effort to stave off that inevitable conclusion, four U.S. presidents spent billions of dollars carpeting Vietnam, Laos, and Cambodia with nearly 8 million tons of ordnance and chemical defoliant — enough to devastate six million acres of land. By the time direct U.S. involvement ended in August 1973, fifty-eight thousand U.S. soldiers were dead, a number that paled in comparison to Asian deaths: over two million Vietnamese and another half million Cambodians and Laotians were killed in the war. Yet for all of its destruction, the Vietnam War was unlike any the United States had yet fought. The two World Wars produced massive mobilization at home with attendant rationing, blackouts, and war industrialization. World War II in particular re-ordered vast swaths of the U.S. economy and significantly impacted business and manufacturing. In contrast, Vietnam mobilized millions of people, many for the first time, who marched, sang, occupied, protested, and otherwise opposed the war. The war unleashed a wave of destabilizing violence that forced a sitting president out of public life, and in potent combination with race, women’s rights, and a host of other new concerns, reshaped the social fabric of the country. Millions of citizens were shocked by scenes of brutal violence when protesters clashed with police and National Guard troops on television. While American soldiers experienced a war of guns and bombs in Asia, American citizens fought a rhetorical war that sometimes broke into open violence. Somewhere within this social upheaval was Bethel College. In the year and a half since its inception, this project — my portion of it at least — has significantly overrun the boundaries of the “impressionistic survey” Chris Gehrz and I set out to sketch. Instead, it has evolved into a sprawling analysis of the complicated intersections of warfare, ideology, education, religion, and the changing social norms at a mid-century evangelical college. Yet as much as this work approaches a total history of the Vietnam era at Bethel, it overlooks a score of desperately important topics — race and civil rights foremost among them. While abundant material exists to examine the development of these concepts at Bethel and in its sponsoring denomination, the Baptist General Conference, race and civil rights were simple too far outside the umbra of the war to justify their inclusion. 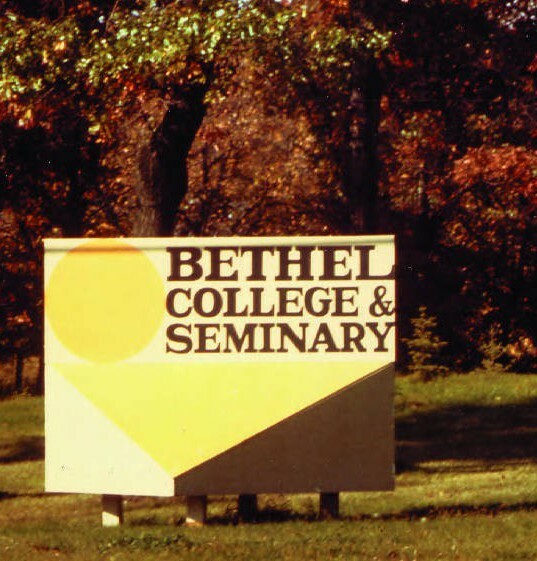 While often intimately connected in broader American society, at Bethel the war and race were seldom linked topically, even if Bethel’s participation in civil rights did arguably prime the campus for anti-war activism. And temporally, the civil rights era just barely abutted the earliest years of the Vietnam War at Bethel; I could not justify reaching still further back into the 1950s. There are other critical omissions as well. The Seminary, truly Bethel’s oldest institutional incarnation, is sadly underrepresented in the following essays. The reasons are many, but reduce most simply to practical limits on time and resources. In a few places, the Seminary does manage to poke through the dense fabric of the college, and this study is richer for it. ¹ John F. Kennedy, “America’s Stakes in Vietnam,” August 1, 1956. ² David Heikkila, “Questionnaire,” Responses to 1976 Cedric Broughton survey, Personal Collection of G. William Carlson, 3. ³ Carl Lundquist, “1968–69 Annual Report of the President,” In 1969 Annual Report of the Baptist General Conference (Chicago: Harvest Press, 1969), 125.